An Irish Miracle Covers Arrive! Mike Mahan, of Shelflife Creative, has once again come through with a beautiful and evocative cover design for An Irish Miracle. The novel is in it’s final stages of production, so stay tuned for a release announcement coming soon! This entry was posted in An Irish Miracle, cover design on May 17, 2012 by RMBadmin. 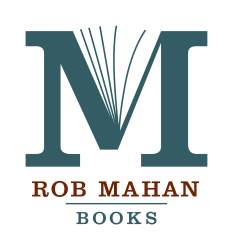 Kent State University Visual Communication Design professor Michael Mahan has created these awesome logos for Rob Mahan Books and the publishing company Marietta Book Works. Mike is currently working on the cover and interior design for An Irish Miracle. In addition to teaching at KSU, he owns and operates the graphic design firm, SHELFLIFE Creative. 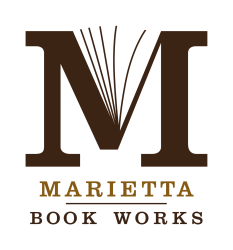 This entry was posted in An Irish Miracle, book design, cover design, Marietta Book Works on March 19, 2012 by RMBadmin.